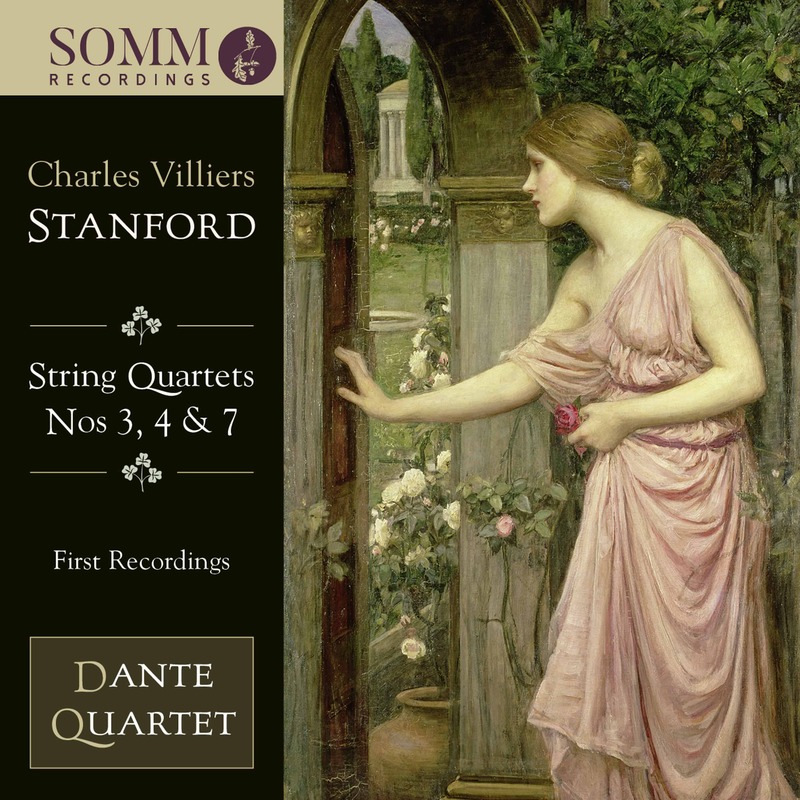 The second volume in Somm Recordings’ complete survey of Charles Villiers Stanford’s eight String Quartets sees the Dante Quartet return with first recordings of the Third, Fourth and Seventh Quartets. Stanford came late to the string quartet form, composing his first two in 1891 aged 50 and trailing glory behind him as an acclaimed composer of choral music. His Third Quartet followed five years later. Dedicated to “my friends the Joachim Quartet” (its leader Joseph Joachim the posthumous dedicatee of his Fifth String Quartet) it moves from stern agitation and lyrical poise to introspective intensity before ending with a ferocious, dance-like finale. Completed a decade later, the Fourth Quartet is a work of fierce technical challenges – “brimfull with invention” as Dibble pithily observes – its playful Scherzo a dazzling example of Stanford’s love of continuing variation, the melancholic slow movement and virtuoso finale drawing deep from the Dublin-born composer’s richly emotional Irish heritage. The Seventh Quartet is one of Stanford’s most varied and vital exercises in the form. Viola and cello are pitched against each other in the stern, contrapuntal dialogue of its first movement with a tour de force Scherzo at its heart and a finale that dances delightfully in irregular phrase lengths to end in an energetic flourish. Issued in late 2016, Volume One in the series was admired as “an excellent disc in every respect” (MusicWeb International), applauded as “most enterprising and thoroughly likeable” (Classical Ear) and acclaimed “a really worthwhile release” (Gramophone).